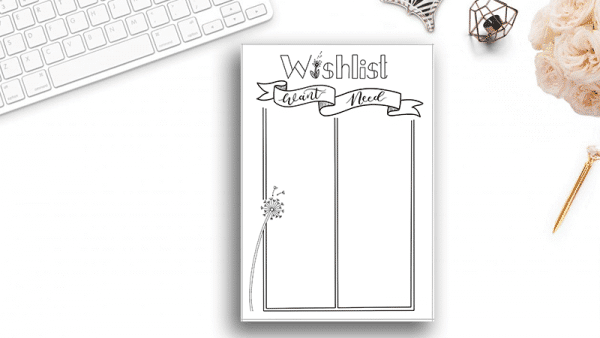 Categorize your wants and needs with this printable bullet journal wishlist. 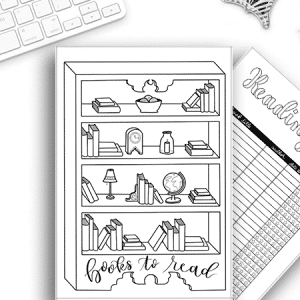 This printable is A5 size and available in your choice of blank or dot grid. 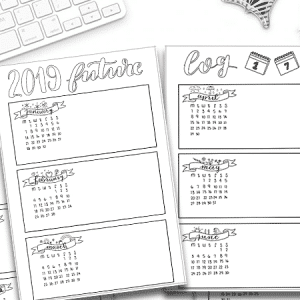 This will help you prioritize your spending and add some decoration to your journal. 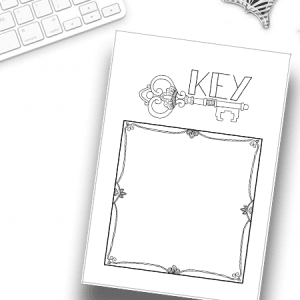 This is 100% hand drawn and includes 1 Wishlist Printable. This is available in A5 size and either your choice of dot grid or blank. 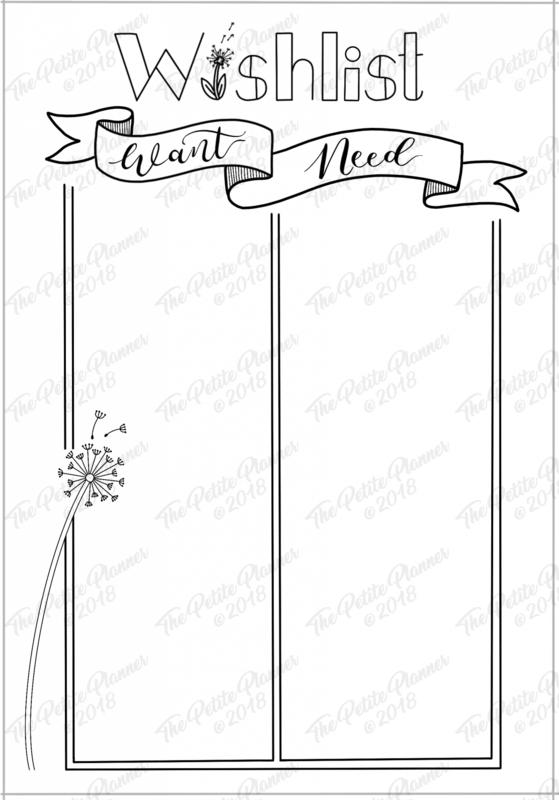 This wishlist is divided into two columns; one for things you really want and one for things that you would consider necessities. 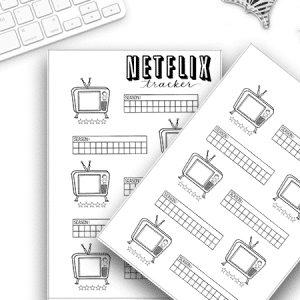 This helps prioritize your purchases and keep track of all the things you need and want. 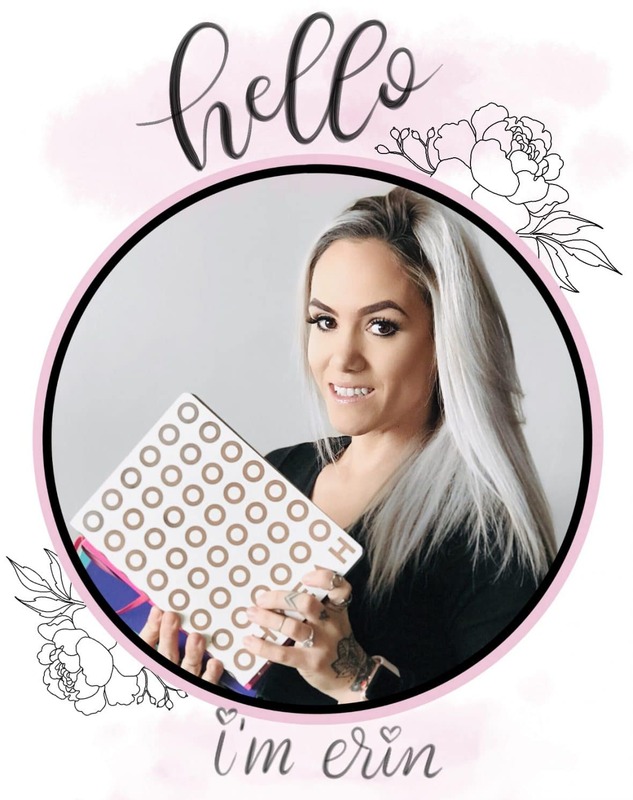 Once you purchase this, you are free to print it as many times as you like as long as it’s for personal use and not for redistribution.